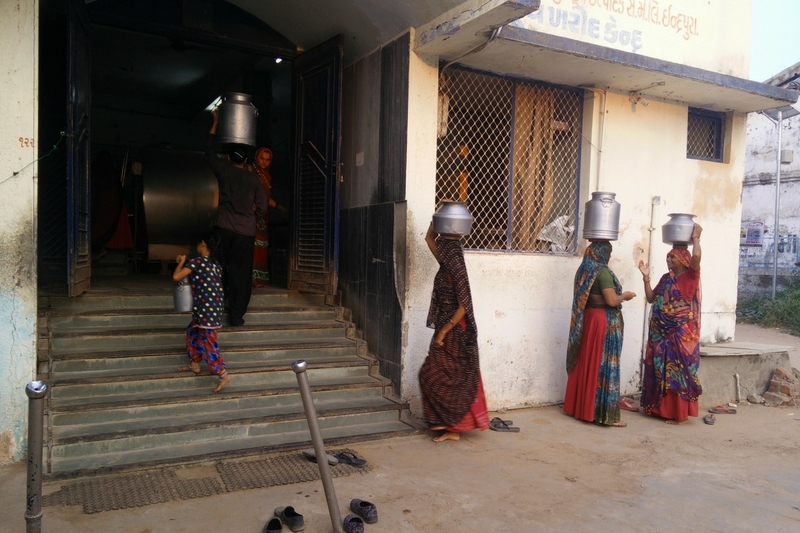 The Indian dairy industry has been efficiently harnessing the potential of technology to infuse efficiency and transparency in milk collection operations. No wonder India is the highest milk producing country in the world owing to the implementation of technologically advanced software and tools that speed up the processes while generating much more profits. And Prompt Automatic Milk Collection Software (AMCS) is the harbinger of digitization and automation in the dairy supply chain of India. Read on to learn some key points about the milk collection software. AMCS streamlines the milk procurement process and provides real-time information to the milk producers based on the milk analysis done by Fatomatic and Milk Analyzer. Fatomatic and Milk Analyzer are milk fat testing machines used to measure milk Fat, SNF, water content, and density. These products are one of those digital innovations that have strengthened the cooperative dairy business. Then there’s Farmers App for the milk producers where they can find all their milk data and payment related information. It has significantly helped the dairy farmers because, with a concept like Farmers App, the dairy farmers can analyze fluctuating milk trends and keep track of their milk business daily. It has helped farmers gain an insight into how much milk they deposit, what is its quality, how much they earn during each shift of milk collection, milk reports, transaction summary, etc. The age-old malpractice of manual intervention has been done away with since the milk tests are entirely automated. The data is accurately and correctly measure the milk testing equipment which can be accessed from anywhere due to powerful cloud connectivity. A centralized data management system is maintained at one place for data analysis, milk production estimation in any district or village or route, to identify and analyze milk production variation based on seasonal and climatic conditions and for future milk production estimations. The dairy software works seamlessly, provides central record management system that facilitates live monitoring of changes in milk price, accurate measurement of milk, and its fat content, calculating the exact cost of milk automatically while saving a lot of time. It provides a common platform for information sharing between farmers and milk unions, and Predictive Analysis and Business Intelligence tools to track milk business. 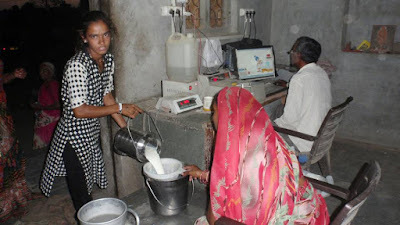 The automatic milk collection software has empowered women partaking in all phases of the dairy supply chain. Plus, the dairy software has enabled making cashless payments to farmers through a direct link with banks for right value of milk. Do you think Automatic Milk Collection System is a boon for the dairy industry and your milk society too? If yes, visit http://www.promptamcs.com/ and get one for your dairy business now!